Our goal is to build four-seasons, cold-climate, indoor, chemical and pesticide free structure to grow green and natural fresh produce at prices all families can afford for seven generations. The results will generate long-term, sustainable Indigenous employment opportunities and new-found revenues from within First Nation and Inuit communities themselves. Our shared goal is to generate long-term, sustainable Indigenous employment opportunities while creating newfound revenues from within First Nation and Inuit communities themselves. We will help each Indigenous population reach this goal with our “Advanced 4Seasons Agriculture” craft producer striving toward ongoing, self-sustaining garden farming successes and generating a perpetual, year-round, fresh, organic produce and Indigenous medicines, at prices every community can afford. FNG also utilizes “new gen” energy solutions allowing each facility to run as a standalone “net positive” facility, both in energy consumption and net revenue gains. We then meet the highest Indigenous goal; to create a self-sustainable circular economy from within each First Nation and or Inuit community that we work with regardless of geographical site. Our objective is to enable First Nations and Inuit communities to become world leaders in the approach to “Advanced 4Seasons Agriculture”. Our indoor, cold-climate, chemical and pesticide free garden greens production will supply and distribute through creating fresh food hubs within strategically located Indigenous territories, across Canada. This new food growth model will directly serve community members from within as well as being able to service other area communities. We will address high-quality food demand and shortages while advancing personal betterment and well-being through perpetual, year-round, healthy nutritional streams. Our vision is to strengthen opportunities to liberate First Nations and Inuit communities across Canada. Our indoor cold-climate grow facilities will generate fresh produce, herbs and traditional medicines to improve health, nutrition, and well-being. This creative year-round agricultural advancement will enhance Indigenous social development within each community, regardless of geographical location. Our mission is to offer a pre-care and after-care support system available to First Nations and Inuits through creative indoor community farming. By producing fresh fruits, vegetables as well as herbs and traditional medicines that are nutritionally rich; we will improve the lives of Indigenous Communities and their members for seven generations. 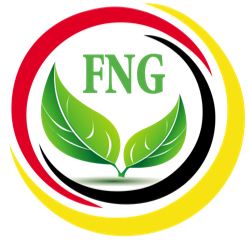 FNG guarantees that First Nation Growers is fully Indigenous owned and designed by Indigenous people for Indigenous Communities. We make sure our 21st Century living solutions begin with year-round fresh foods production within “Advanced 4Seasons Agriculture” industry. FNG guarantees the ongoing financial successes of each “Craft Community Fresh Foods Garden Farming Market” facility that FNG joint venture partnerships’ with by providing “pre-care” and “after-care” ongoing services. This will include a 365/24/7 security growth historical monitoring system. We will secure “pre-project” letters of intent with established Produce Wholesalers to buy excess produce for distribution to global markets. First Nation and Inuit communities wishing to venture into the Health Canada sanctioned Medicinal Medicines cultivation for medical purposes can rest assure FNG will look after personal Indigenous facility successes. A pre-project signed and certified product buying agreement with Health Canada approved licensed producers will settle to ensure great success. All joint venture agreements, application services finances, and product processing and packaging are made transparently disclosed between Indigenous personal craft community garden farming market growers and Health Canada licensed producers.